For sale. 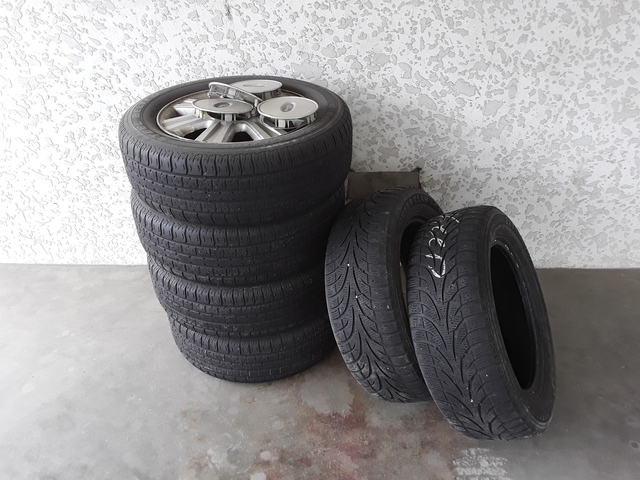 Set of 215/60R16 summer tyres on rims (off of 2001 ford Taurus) not much tread left and 2 winter tyres same size with bit of tread left not on rims. $50 for them all.